Taking a serious view of the online Blue Whale Challenge game, the Madras High Court today directed the centre to ensure that Indian subsidiaries of technology companies and websites compulsorily followed Indian rules and law. The Blue Whale game had originated in Russia. 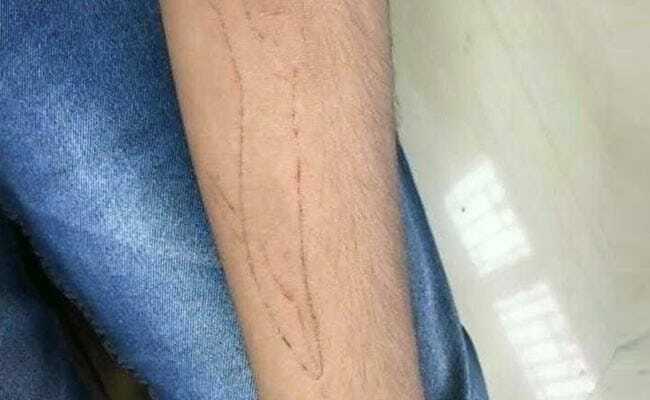 Madurai: Taking a serious view of the online Blue Whale Challenge game, the Madras High Court today directed the centre to ensure that Indian subsidiaries of technology companies and websites compulsorily followed Indian rules and law. Disposing of a petition initiated by it on the game, a Madurai bench of the court comprising justices KK Sasidharan and GR Swaminathan said that the technology companies, which followed the rules of their respective countries, were not providing data and information regarding the game despite the Indian law enforcement wings making a request on May 22. "The central government should address this issue seriously. The Google Incorporation, which was registered in the US and providing games through Google Play Store, was governed by the US laws and regulations," it said. Giving a series of instructions, the court said, "The centre should consider amending rules and regulations that were applicable to the Indian subsidiaries and websites of such companies. They should be made amenable to Indian rules." The Indian Computer Emergency Response Team should collect digital equipment such as mobile phones, tablets and computers on which the victims played the game and put them through digital forensic analysis so that the source of the game and the administrators were identified, it said. The internet service providers (IPOs) must take due diligence to remove all links and hashtags being circulated in social media relating to the game, the court said. The IPOs must be called to furnish information regarding downloading/access to suspicious links, it said. The government should seek Russia's cooperation and use the diplomatic channel to block Uniform Resource Locator (URL) link and take penal action against the culprits, it said, noting that those who provided such game links and promoted them must be prosecuted under the Information Technology Act and the Indian Penal Code. The court also directed the director general of police of Tamil Nadu to ensure that the circular to prevent spread of the Blue Whale Challenge game was issued widely and instructions were complied with. The state principal secretary of the school education and the director of collegiate education should take active steps to ensure that all the educational institutes sensitised and warned the students about the dangers of the game, the court said. The government must constitute district-level committees with members from NGOs, psychiatrists and voluntary organisations to visit schools and counsel the students, it said.